Explanation: For reasons unknown, NGC 6357 is forming some of the most massive stars ever discovered. 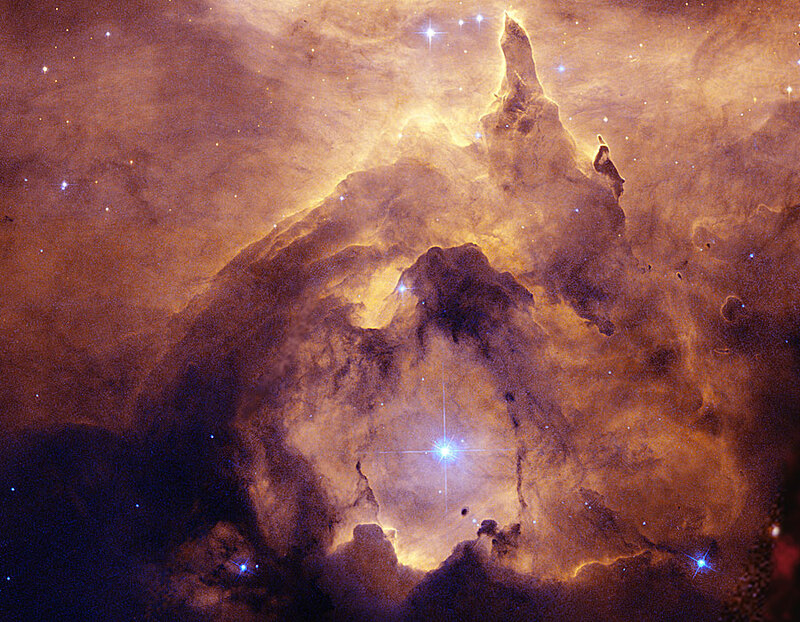 One such massive star, near the center of NGC 6357, is framed above carving out its own interstellar castle with its energetic light from surrounding gas and dust. In the greater nebula, the intricate patterns are caused by complex interactions between interstellar winds, radiation pressures, magnetic fields, and gravity. The overall glow of the nebula results from the emission of light from ionized hydrogen gas. 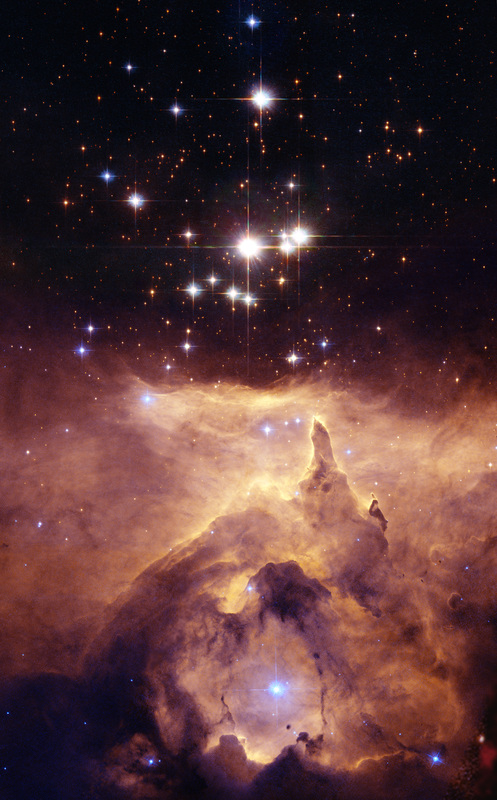 Near the more obvious Cat's Paw nebula, NGC 6357 houses the open star cluster Pismis 24, home to many of these tremendously bright and blue stars. The central part of NGC 6357 shown spans about 10 light years and lies about 8,000 light years away toward the constellation of the Scorpion.